The Wellbeing Support Team handook has been my labour of love over the last month. I have been trying to create something that expresses my hopes for our team, how we work, and how we live our values. This week I proudly gave copies to our new team as we welcomed Zoe and Vanessa who started with us on Monday. Michelle and Vanessa are the two coaches in our team, and their role is to support the Wellbeing Teams to flourish, self-manage and deliver compassionate, person-centred safe care. Our hope is that by doing this, we are able to keep our colleagues working with us, and have good staff retention. The Research by Gallup (featured in the book First Break all the Rules) has identified 12 questions that measure employee engagement and six that particularly relate to staff retention. If colleagues feel able to answer ‘yes’ to these questions, then they are more likely to stay with the organisation and be productive. In our Wellbeing Support Team handbook I have thought about how our different roles work together to try and make it more likely that people can say ‘yes’ to these 6 questions. I know that recruitment and retention are one of the biggest challenges in social care, we have not got all the answers to this, but I wanted to share what we are trying, and why these 6 questions matter. A conversation with Denise, opened my eyes to other ways that Wellbeing Teams could work. Denise is a family leader and I was trying to see if I could help her with recruiting Personal Assistants for her two sons. She is innovative and well informed, and had tried many of the ideas I suggested, but was willing to try a few more. You can hear her talk about it in our podcast, and it is clear how hard it is for families who end up being care-coordinators, and team managers when they simply want to be parents. So could Wellbeing Teams help? This means that the young person’s support would be organised and delivered by a provider (Wellbeing Teams), through small, self-organised teams, in partnership with Community Circles. Wellbeing Teams therefore bring together paid support (co-ordinated by the Wellbeing Leader) with support from family, friends and the community (co-ordinated through a Community Circle) to ensure that the young person and their family get the support they want and need to move towards their aspirations. Young people and families have the same control that they would have if they wanted to recruit Personal Assistants (P.As) but without the administration and management responsibilities. My colleague Gill Bailey is the person who made me more aware of dementia, and kept nudging me to prioritise it in our work. 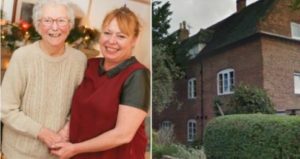 This led to us working together in Bruce Lodge, a care home where about forty people who have a dementia live. Here we learned what it took to make sure people knew what mattered to everyone who lived there, and what good support meant – the little things and the big things. We introduced one-page profiles to the staff team, and ‘individual time’ where each person had two hours a month that they used to follow an interest, like football, or swimming or simply to have their nails done and a glass of wine. 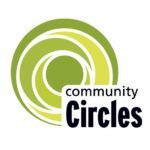 We started to explore what Community Circles could look like, and I am still part of May’s circle today. This was my plan – that we could share what we had learned at Bruce Lodge (in a book, through animates, through conferences) and then other people would invite us to do the same, and this is how we can make a contribution. That same year, a large national provider asked us to work with six of their care homes and this confirmed my thinking, that this was the way we could make change. Gill’s other nudge to me was around David Sheard and Dementia Care Matters. David’s strategy was also to support care homes to change, to become Butterfly Homes, with well-thought out process and evaluation. The first time we met was when we were both speaking at a staff conference for Community Integrated Care two years ago. We then connected over email and soon David asked me to speak at his 10th anniversary Dementia Care Matters conference. I felt honoured. What I learned was that David and I were at similar places in our journeys. Both of us wanted to make a contribution in the lives of people living with a dementia and support staff. Both of us had demonstrated what was possible, David a hundred times more than I. Both of us realised that if we did more of the same, we could make a difference to some care homes, but we could never contribute to making change at scale. At the same time training budgets have got smaller and attendance at conferences is difficult to fund. At H S A we have been looking at other ways to connect and learn together. We have been experimenting with technologies for building communities through Groupsite and Slack, using the more informal Zoom to connect as well as webinars and online courses. We had been learning what works, and what had not worked, and the challenges of using online forums and discussion groups. I got in touch with David and Peter after speaking at his conference, to see if there was a way we could build a future contribution together. Find a way for people to learn from outstanding Butterfly Homes about the best practices they could try and use in their care home? Help people get an understanding of where they are now – their culture, their practices, so that it is clear what they may want to focus on next? Get support about what they can do to move forward and make change? Enable people to ask questions and have them answered live be connected to a wider community, internationally. Could we go beyond discussion groups and forums and make it very easy for people to get the information they need and connect in other ways? Get together each year in person and learn together in a different way and co-create what the community wanted to focus on the following year? Last week we reached out to Dementia Care Matter’s existing membership group to share our idea. It is called The Butterfly Community. David describes this as the 5th significant event of his career. Please join our webinar if you want to join the conversation or visit the website if you want to learn more. 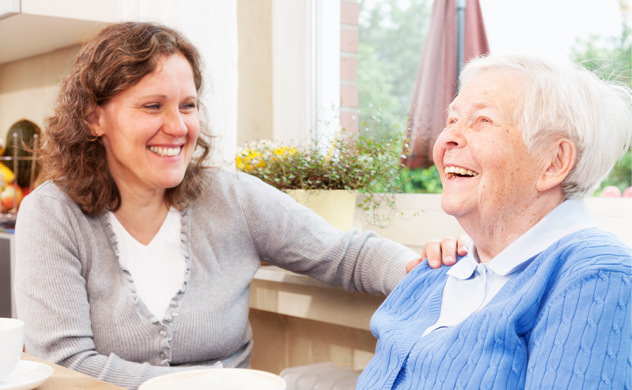 In Dementia Awareness week let’s stretch our awareness of what is possible, of how we can connect as a community, and how together we could make change at scale. 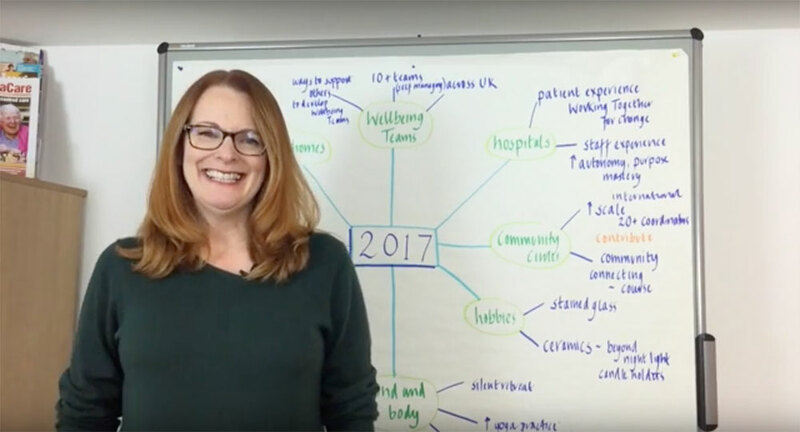 Last week I saw a post on Facebook about how a Google coach @Jenny_Blake created a mindmap of what we she wanted to achieve in 2017. It seemed like a great way to get my thoughts organised, and inspired me to do my own. I love planning for a new year, and I liked how she balanced work with other areas in her life. Because I love my work so much I need to have an equally strong focus and intention on other areas of my life, so creating a mind map that covers all areas of my life felt right for me. I also wanted to make sure that I was paying attention to my overall wellbeing, so I used the Five Ways to Wellbeing to structure this. Watch the video below or read the rest of the post to see what came out of this exercise as my areas of focus for 2017. I chose to explore three work areas as my focus for 2017. My biggest priority is moving forward with Wellbeing Teams, my new model for living well at home. We have four getting started at the beginning of the year, across Devon, Doncaster and Dumfries (two teams). By the end of 2017, I want to have learned from these and extended the number to at least 10 teams. Our fabulous partners in Devon, Love2Care, want to get to 12 teams by the end of the year as well, and if they achieve that (and I am confident they will! ), this alone would take the total to 16. We have teams starting in Scotland and England, and it would be brilliant to have teams in Wales too. The numbers matter because my aspiration is to demonstrate that Wellbeing Teams can happen at scale across the UK. Demonstrating a different way of supporting people at home is key, but making an impact nationally is really important to me too, so we can show that it is possible to improve more people’s lives, more of the time. I am looking at social franchising as a possible way to do this. We are just waiting for the final sign-off on an opportunity to work with patients and staff across several hospitals in one area, as the lead organisation for improving the patient and staff experience. We will be working to make sure that both patients and staff feel known as individuals and that their voices are listened to, through embedding one-page profiles and Working Together for Change. This is a great opportunity to build on the work we have been doing in two hospitals in 2016. In 2017 I want to build on this with Ros and her team, and see if we can take some of the concepts from self-managed Wellbeing Teams into a care home environment. I am also working with a leading thinker in dementia care to develop a new way of supporting other registered managers in care homes to keep developing and improving how they support people and staff. My Dad died when I was 21 and I always wanted to know more about his life, and have a record of this to share with my children. I spent Christmas with my ‘big family’, my mum and sisters and our families. We are going to work on capturing Mum and Dad’s life histories this year, and some of our own as well, as a family project. I love learning, and last year I started two courses that I did not finish and want to go back and complete them this year – podcasting and Theory U. I am also halfway through e-learning on Compassionate Communication too, which I find really useful both for my personal and professional lives. 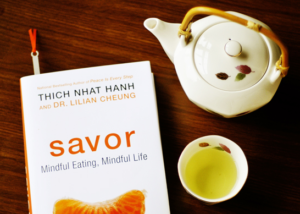 I have been reading Thich Nhat Hanh’s book ‘Savor – Mindful Eating, Mindful Life’. This year instead of my usual resolution to eat and drink less, I am going to try to eat and drink mindfully. I started Parkruns this year – 5k runs that take place at local parks every Saturday morning. I want to go from doing them on an ad-hoc basis to including them as part of my typical week. I did well with my yoga practice in 2016, but this dropped off in November, so getting back to weekly yoga is important to me this year too. I volunteer through Community Circles, both as a Community Circle facilitator, and chair of the trustees. I want to help the organisation to scale up – for us to build internationally and to find funding for over 20 Connectors in the UK in 2017. If you’re looking for a way to contribute in 2017, get in touch – we are always looking to hear from people who would like to join us! It’s exciting to have ideas about what I want to experience, achieve, and new habits to build, but staying focused right through to December 2017 is much more of a challenge for me. Over the last year I have updated a ‘Now page‘ on my blog site, that describes what I am currently doing or working on. I will post a monthly update on my Now page sharing how I am getting on. Going public with the areas I want to focus on makes me feel more committed and determined, and a bit vulnerable too. I hope that your plans for 2017 are exciting, and that we can stick at them together! Carol works in the care sector visiting clients in their own homes for which she receives the National Minimum Wage and 7p a mile mileage. She has been doing it for three years, but says she is increasingly thinking of leaving because in her view the industry is getting worse. She says that the central frustration in her working life is not the pay, but that her employer schedules three half-hour visits every hour, meaning she is constantly late for each appointment and feels that she is short-changing the clients. This blog describes how Wellbeing Teams are trying to change Carol’s experience. Last week Community Integrated Care won best care home at the National Dementia Awards for their specialist home, EachStep Blackburn. We have been partners with EachStep since before it opened; both through our work integrating Community Circles, and with our Associate Gill Bailey spending a day each week there to coach and support staff to implement person-centred practices. You can learn more about the partnership in this short film clip. This great news has given us an appropriate point to reflect on our journey, and I’d like to share three reasons why I think EachStep is a real winner. This short animate describes how a Wellbeing Team supports Norma and Jean – but it is only half the story. Wellbeing Teams offer a fresh approach to home care, that is different in two ways: how people are supported and how the team works together. The ‘wellbeing’ in Wellbeing Teams stands for both people supported and for team members, you cannot do one without the other. “Ample research has shown that people working in self-organized teams are more satisfied” than those working in traditional teams. This blog describes eight ways that self-managing Wellbeing Teams are structured and supported, providing the other half of the story.